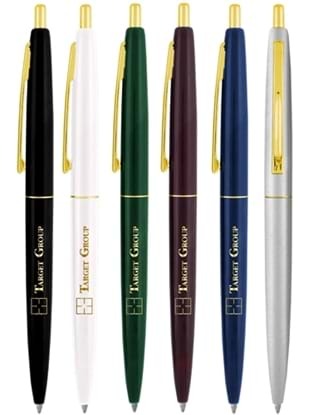 The Seattle Pen has single color printing in an assortment of colors. 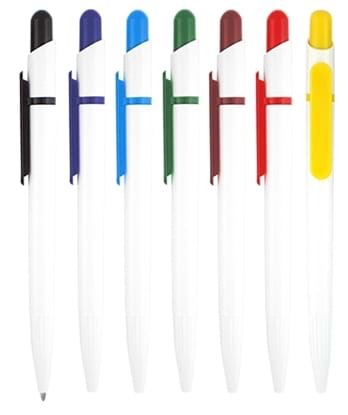 White barrel with color clip and accents. 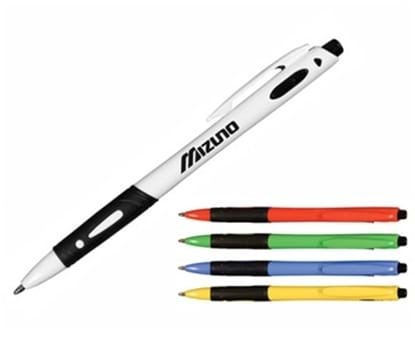 A top selling pen. Transparent colors. Medium point black refill. 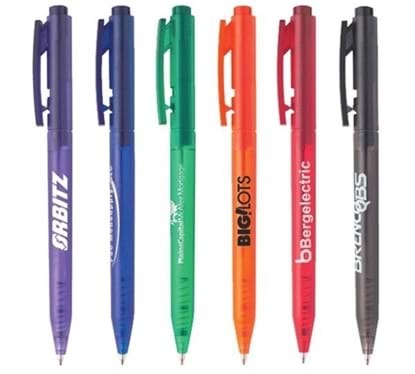 The Seattle B Pen has single color printing in an assortment of colors. White clip and accents. 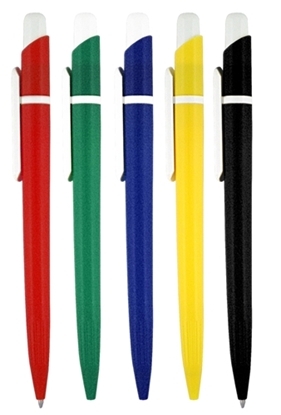 The Seattle C Pen has single color printing in an assortment of colors. Silver barrel with color accents. 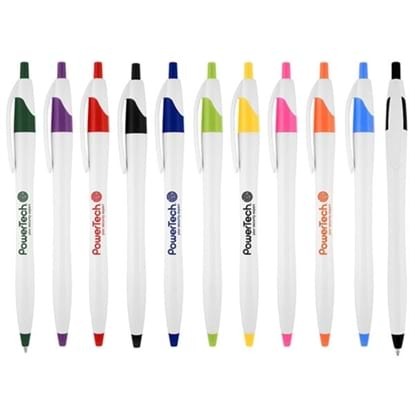 The Preston S Pen has single color printing in an assortment of colors. 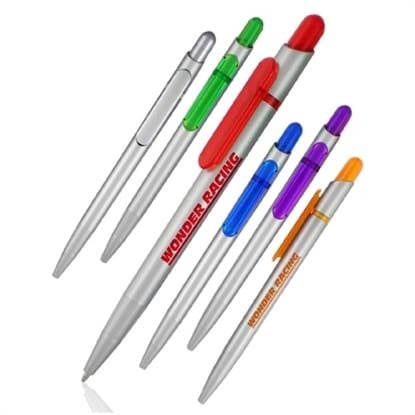 Silver barrel with color clip and accents. 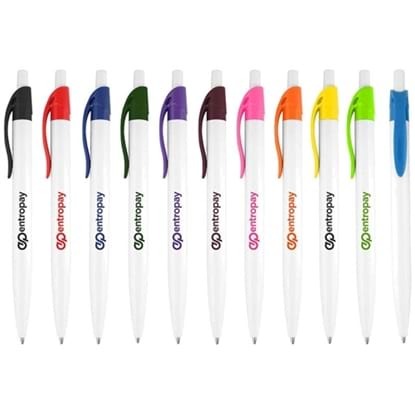 The Austin Pen has single color printing in an assortment of colors. White barrel with colored rubber grips and clips. 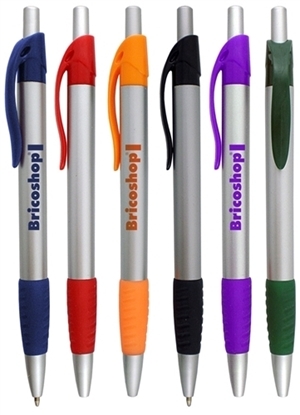 The Preston B Pen has single color printing in an assortment of colors. White clip accent. 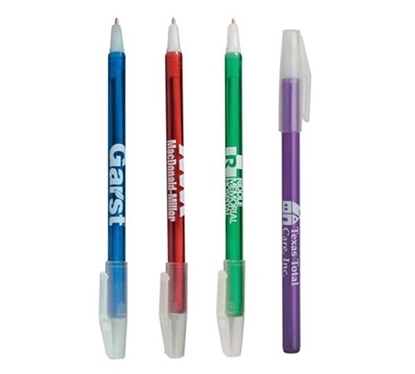 The Preston T Pen has single color printing in an assortment of colors. 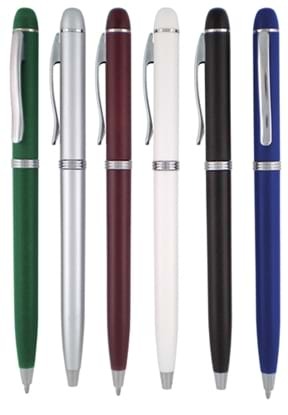 Hot looking basic pen with deep colored barrels and silver trim. Looks great with metallic silver imprints. 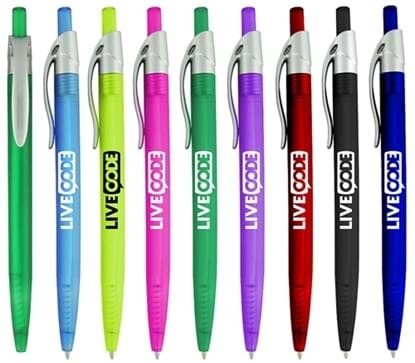 Our most affordable pen with a grip. Transparent colors. Medium point black refill. 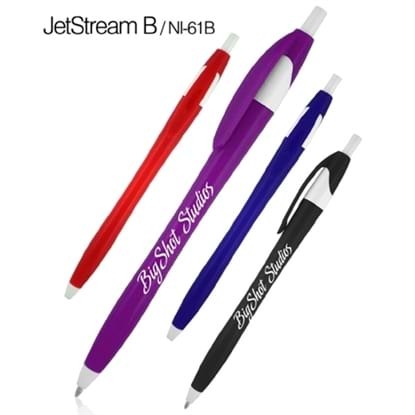 The Jet Stream B Pen has single color printing in an assortment of colors. Color barrel with white accents. 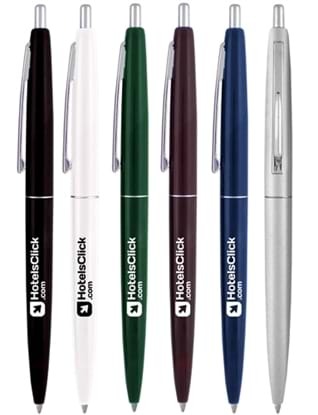 The Side Click Pen has single color printing in an assortment of bright colored barrels.The clicker extends ballpoint and the side button retracts ballpoint. 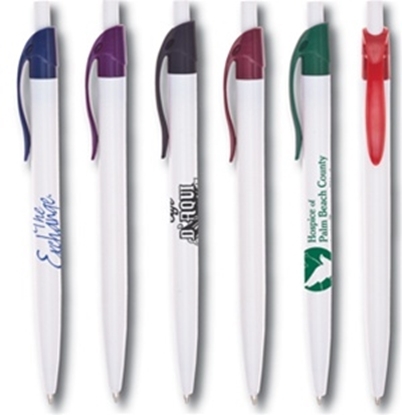 The Alabama Pen has single color printing in an assortment of colors. Black clip and Black accents. 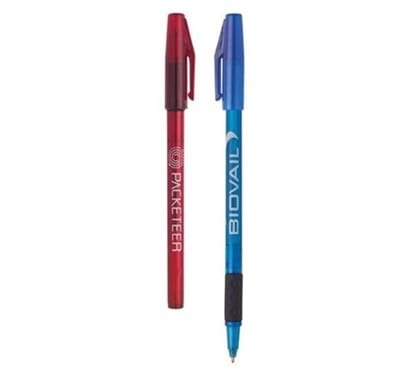 The Jet Stream T Pen has single color printing in an assortment of colors. Matching color clip. Chrome accents. 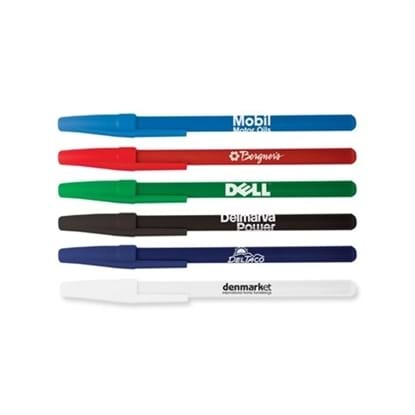 The Delta Pen has single color printing in an assortment of colors. Translucent barrel with black rubber grips. Silver highlights. 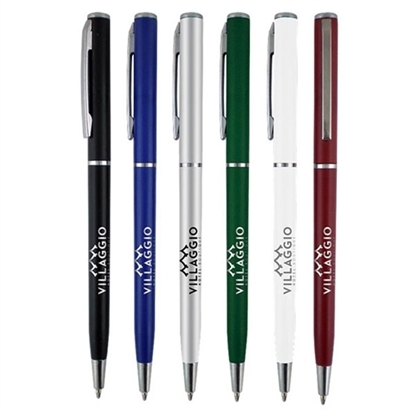 The Riviera Pen has single color printing in an assortment of colors. Chrome clip and accents. 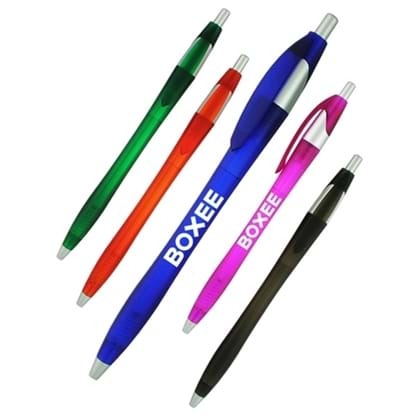 The Seville S Pen has single color printing in an assortment of colors. Chrome clip and accents. 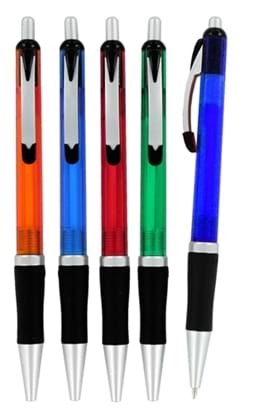 The Seville G Pen has single color printing in an assortment of colors. Gold clip and accents. 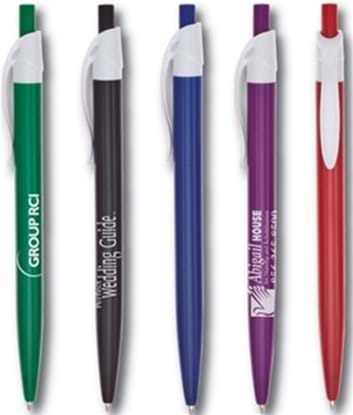 The Cooper S Pen has single color printing in an assortment of colors. Metal clip and chrome trim. 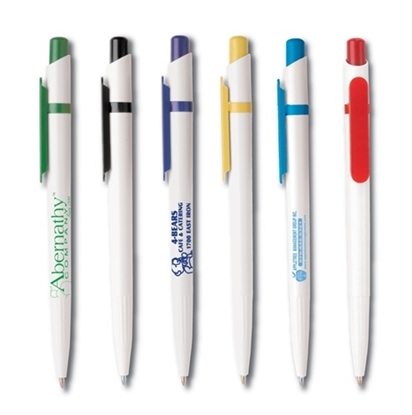 Mypromotionalpens.com offers the largest and best priced selection in Promotional 1 Day Rush Pens. We will price compete and we won't be under sold. 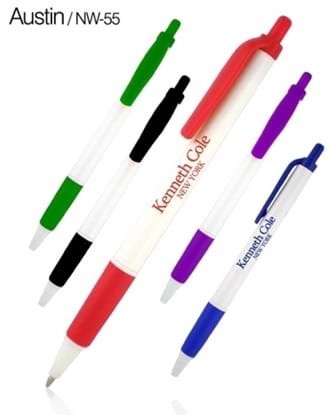 Let our graphic designers make your personalized 1 Day Rush Pens standout above the crowd at no charge. 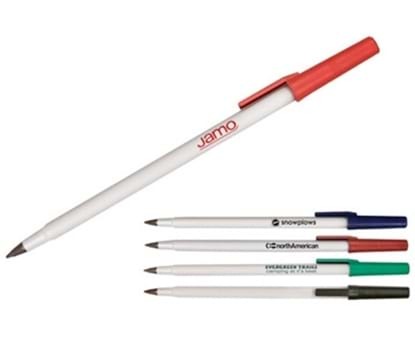 We won't stop until you are completely satisfied with your custom 1 Day Rush Pens art proof.Use category search filters on your left to help narrow your search to find exactly what you are looking for.